This fantastic 6.4 fully arable acres in sought after Oakville is a rare offering. With a charmingly renovated home set high on the property, the open plan living areas flow onto a large verandah/alfresco area taking in the rural views and well set up equestrian facilities. The property features a 3 bedroom character filled home with built-in-robes to 2 bedrooms, high ceilings, decorative windows and a master with a decorative fireplace. The open plan galley kitchen is fitted with stainless steel appliances, stack stone slow combustion fireplace and flows onto the living area. The modern main bathroom has a large shower, vanity and a separate W/C. A second bathroom is located downstairs and has its own shower and toilet. 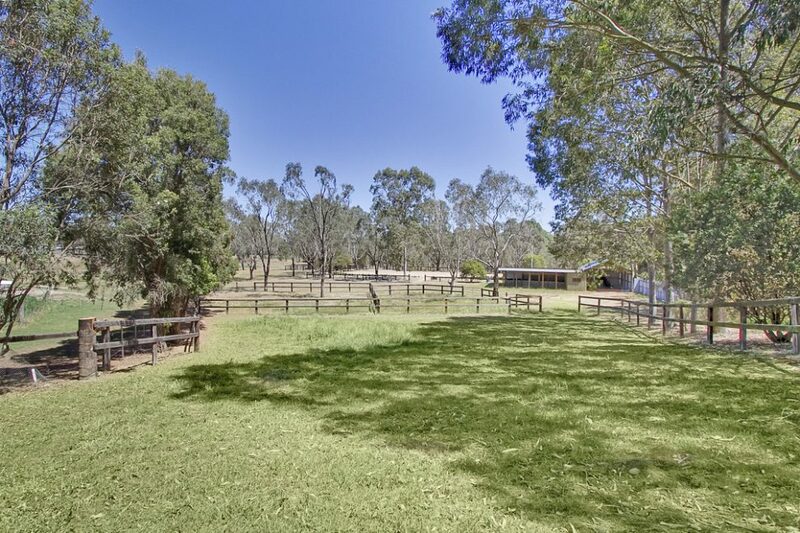 For the equestrian enthusiasts there’s post and rail paddocks, large sand arena, stables, day yards, wash bay and tack room surrounded by lush green arable acres. There is a single car lock up garage, various shedding and a second street access ideal for business use or horse agistment. Just up the street to Arndell College, across from Vines Pony Club and minutes to transport, local schools and shops, this is a prime location and offers a return for the investor with rental and agistment options.